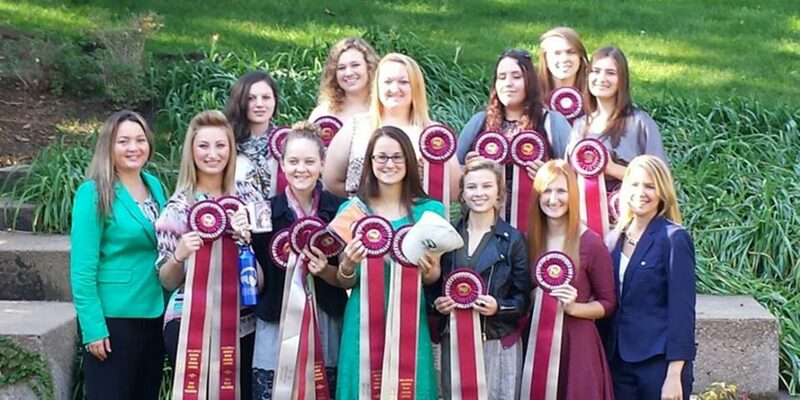 Two William Woods University equestrian judging teams and one alternate recently competed at the U.S. Arabian Nationals in Tulsa, Oklahoma. They were coached by Liz Kuda and Jennie Petterson. The competitors judged four halter classes and six performance classes, which include reining, show hack, hunter pleasure, country English pleasure, hunt seat equitation and western pleasure. Team A members Alix Polydoros, Marissa Boster, Jessica Scharenbroch, Kayleigh Pivonka, and Sarah McRae finished with third place in the halter division and ranking fifth overall in the collegiate division. Team B representatives Sarah Seidel, Hannah Overton, Jane Bond, Elise Fleischman and Ashley White earned fifth overall in the performance division. Sophomore Hannah Overton obtained two individual placings, seventh as an individual in the performance division and 10th in the contest overall.